Discover Harbor Springs, Petoskey, Bay Harbor, Boyne City, and Charlevoix real estate with Bob and Trish Hartwick. 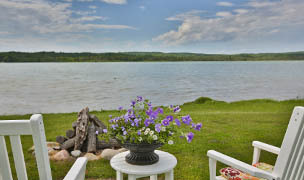 Search homes, condos and property in Northern Michigan. 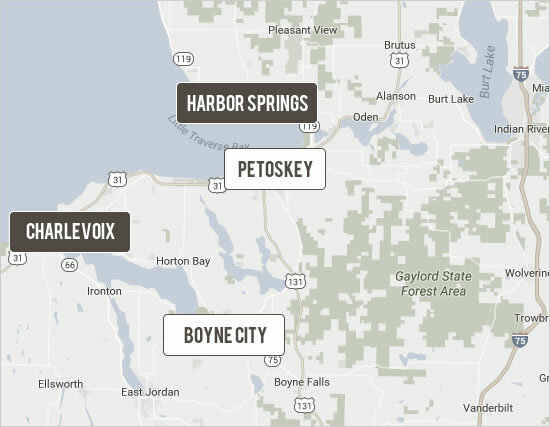 Thinking of selling or buying your Harbor Springs, Petoskey, Charlevoix, or Boyne City or Bay Harbor home we can assist you in getting the best price on your timeline. Bob and Trish Hartwick have over 20 years of real estate experience. We will negotiate for you and educate you on the best way to sell or buy a home. We care about you and look forward to representing your best interests. Find a Home Use our interactive map to find the perfect home. Market Data See what’s happening in the local market now. Sell a Home See how we get the most for our client’s homes. Your Home Value Check your current home value. Use our premier search tool to find your Northern Michigan dream estate home. Let us help you find the right home. Delivering fine property expertise, maximum exposure, huge online presence, & winning results. One of the best views available at Crooked Tree. 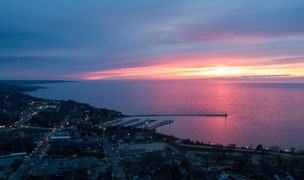 From this elevated site you get panoramic views of Little Traverse Bay, Lake Michigan, and the golf course.. Wonderful wooded home site overlooking the panoramic 6th hole of the renowned Jim Engh golf course, True North. Developer has right of first refusal..
IDX information is provided exclusively for consumers’ personal, non-commercial use, it may not be used for any purpose other than to identify prospective properties consumers may be interested in purchasing. The data is deemed reliable but is not guaranteed accurate by the MLS. © 2019 NM-MLSX. September Service for Life - Do You Wash Bananas? You Should. Petoskey Harbor Springs Winter Ice is on the way out! Are you thinking about selling your home this Spring? What is happening in Petoskey, Northern Michigan area? Trish Hartwick is your trusted Realtor in Northern Michigan for over 20 years. Trish, and her team, will make your Real Estate buying and selling experience the absolute best experience. Trish Hartwick has knowledge of local home values, trends, waterfront properties, resorts, foreclosures, and lots more. Call Trish Hartwick today to schedule an appointment or speak with her directly.